If you’re having engine troubles, it could be time to find a marine diesel mechanic. With the right diesel services, your engine’s performance will greatly improve and the risk of a major engine failure (with resulting surprise costly repairs) is greatly reduced. Why put yourself in a vulnerable position when an expert could get your marine engine back into top shape? The more important question you’ll probably need to ask yourself is how to find the best marine diesel mechanic to handle your needs? The article below will cover the different qualities you should be looking for to weed out the inferior options. Here’s how to know you can trust your engine is in great hands. One of the most common mistakes mariners make is trying to entrust their engine to a single person. Though this might seem tempting because of the initial projected costs, it will almost always end up costing much more down the line. A diesel service center will have a team of mechanics and technicians with a high level of training and certifications. On top of that, the diesel service center will have much better equipment available than an individual marine diesel mechanic. A diesel engine is a complex machine that can fail in all sorts of creative ways. Make sure to find a marine diesel mechanic that offers everything from engine repairs and maintenance services to overhauls, common rail, fuel injection, etc. The reason for this is they can ensure that every component of your engine is running as it should and handle everything in one place. On top of the convenience, it will probably cost you less overall than having individual services done as you go. Another thing that will save you money and time will be if the marine diesel mechanic already has certified engine maintenance parts on hand. This generally translates to cheaper costs for you and improves the waiting period it takes to complete the job. Make sure they use only certified parts and perform repairs according to the manufacturer’s specifications to keep your warranty intact! Experience is an invaluable resource when it comes to handling marine diesel engines. It’s recommended to choose a marine diesel mechanic with several years (if not decades) of verifiable industry experience. This way you can rest assured that any challenge that might present itself will be quickly recognized and properly handled. 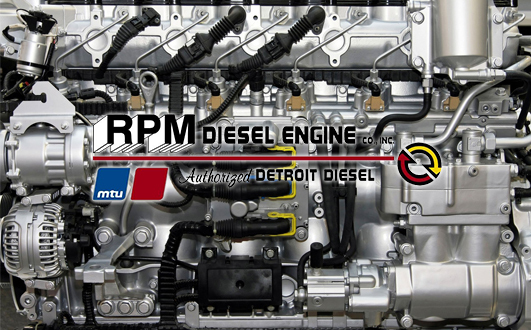 Of course, you can also come to visit us at RPM Diesel in Fort Lauderdale to speak with our mechanics yourself. We have been an established diesel service center for decades and handle all diesel services with exceptional skill and friendly professionalism. Contact us today to make an appointment or call 1-800-660-6304 to speak with a team member directly.